My first experience with short films was in 2001. My friend Ingrid and I went to see the Oscar Nominated short films at Cedar Lee Theater in Cleveland. I vividly remember the short film from Poland we saw that night; it was heartbreaking and terrific. For years I’ve intended to find the title of the film, and this post has urged me to conclude my search at last. Not only did I discover the name of the film that has remained vivid in my mind, A Man Thing (Meska Sprawa), I discovered that the director’s 2006 film Retrieval was also nominated for an Oscar, in the category of best foreign language film. His career and films are absolutely worth watching. The role and importance of short film was part of a conversation I’d had a few weeks before with my colleagues (and Turtle bloggers), Paul and Jenny. We were chatting about how watch-at-will programming is changing the way we experience film and television (due to Netflix and other streaming options). We noted examples of new formats that break the traditional model of North American television and film. In the case of Sherlock, three 1.5 hour episodes per season results not in a television season, but a rapid-fire film trilogy. No waiting for years between films, no extended weekly commitment. Another appealing attribute of short films is their similarity to short stories: both are intense, character-driven, and conducive to high artistic achievement. Just as there are no “throw-away” lines in short stories, there are no extraneous moments in short films. They exist in the precise space necessary to accommodate the themes explored. The material dictates the length of what is created, form follows function. 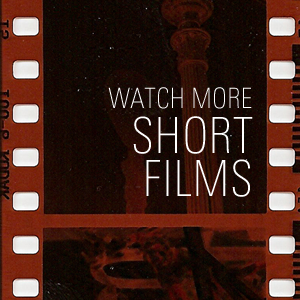 Mostly, I watch short films hoping to be exposed to yet another phenomenal emerging filmmaker. I was delighted that the recipients of the Academy Awards for short film this year are both first-time filmmakers. Short films and short stories can offer a critical testing ground for new talent. Few writers have the wherewithal to produce a book-length work early in their careers, and the same is true for most aspiring filmmakers. Artists need practice, exposure, and support to develop their material, and short works enable this crucial experimentation and exploration. This year, my friend Kris and I went to the Landmark Theater at Clark and Diversey to watch the animated shorts. The films we saw were hysterical, heartfelt, and haunting. The best in the animation category included this year’s winner, Mr. Hublot from Luxembourg. I was delighted by the entrant from England, Room on the Broom, which features a fantastically put-upon cartoon cat more expressive than most characters in popular film. My favorite is the eerie, evocative Feral, another example of strikingly original artwork at its best. The day before the Oscars, I squeezed in a viewing of the live action shorts at The Logan Theater. The winning film, Helium, was sad and sweet, innocent, yet knowing. The Voorman Problem illustrated wonderful British wit. I had enormous issues with the film from Spain; the nicest thing I can say about it is to say nothing at all. I have yet to see the short documentaries, but I will try to find a venue to see them. Too often, mainstream films address nothing other than too much of the same. Short films offer new things to see and ways of seeing. I encourage you to explore these innovative films, too. You would have loved the CutOut Fest in Queretaro….I never saw such a 15-minutes’ worth–from each short– in all my born days! Puppies and mushrooms a la Fantasia from France, Kabaam from Japan, crazy, thoughtful from Poland. Check it out. Sadly, nothing from Mexico in this year’s showings here, at least not the day I attended. I love how the shorty is an enormous bite-full, like eating a Godiva bonbon. Yum. Thanks, Tricia. I’d like to see more blogs from you about lit and writing…You should check out the Opinionator in NYT and contribute. They have great blogs from writers, communicators on all sorts of topics. Saludos!!!! Cultural Literacy in my Classroom.